Q. If I have an Emergency how long will it take for a Plumber to get out to me? A. As soon as you make the phone call you will get to speak to one of our senior Master Plumbers. He will advise you on any immediate actions you can take to alleviate the problem. 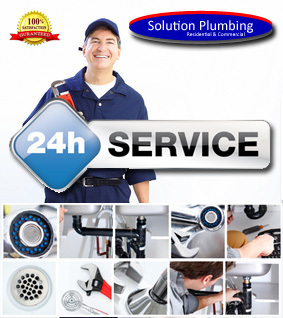 As we are a large amalgamation of experienced Plumbers, we will always have someone in your area. We guarantee a 60 minute response time but this can often be 20-30 minutes depending on the time and area. Q. Do you charge for call outs? A. No, we do not charge for call outs or for the time it takes to travel to you. Once we enter your home or business and undertake diagnostic and repair work, only then do we start charging for our time. Q. What happens if you have not got the part to repair my plumbing problem, do you charge me to go and get it? A. This is unlikely as our vans are always fully stocked, though if this did happen we would not charge you for sourcing the part. We would just charge you for the part and the time it takes to fit it. Q. Do you cover all areas of county Dublin; I can’t see where I live under your areas covered? A. Yes, we cover the whole of county Dublin our website is large but not as large as county Dublin. You will see areas near to you on our list so you can guarantee we have a plumber close by. Q. Are all of your plumbers fully qualified? A. Yes, All of our Plumbers are fully qualified and R.G.I. Registered, some with more than 30 years experience, because of the nature of Emergency Plumbing call outs at present we do not have any apprentices and all our plumbers have a minimum of 5 years experience after qualification in the industry. A. Yes, all of our Plumbers are covered by our full indemnity insurance.